Neurosis is my favorite band, and I’ve written about them publicly in a number of contexts. Every time I do, I can feel myself straining. “Write something that does them justice,” I tell myself. And I haven’t done so yet. It is a testament to Neurosis’ power that fans feel compelled to live up to their expectations, rather than the reverse. They bear a gravity that most bands would envy. Much metal is inherently worldly, but Neurosis taps into primal emotions that are larger and older than anyone. In fact, Neurosis is older than I am. (They formed in 1985; I formed in 1987.) They were legends by the time I became aware of them in the early aughts. But when Souls at Zero came out in 1992, it was a cry in the wilderness. Neurosis draws on nature for lyrical imagery, and nature offers plenty of apt metaphors for their music in return. 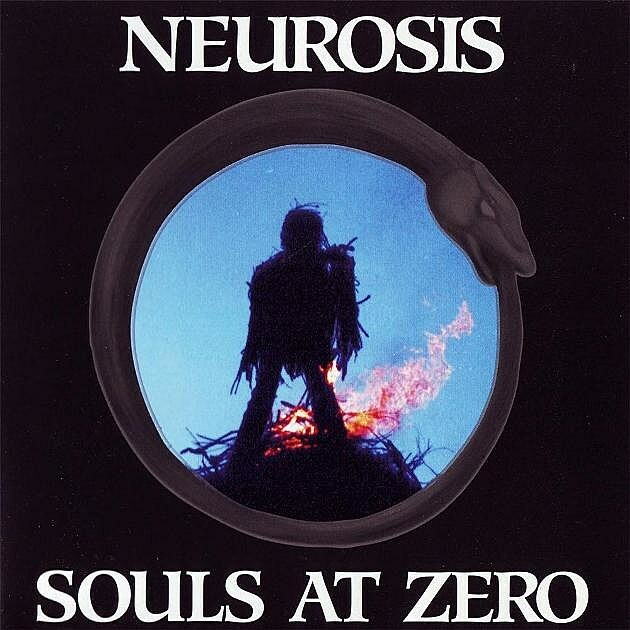 On Souls at Zero, Neurosis embodied a young mountain range; they were jagged and fresh. The sonic profile — industrial/goth influences, psychedelia, wildly shifting moods — emerged here, but in coarser form than on later records. Souls at Zero sometimes overcrowds itself with strange ideas. Not all of the songs work the way they’re supposed to. Souls at Zero is all the more daring for its clutter. I can only imagine how shocking this album sounded in 1992, without intermediation from a decade or two of perspective. Guitarist Steve Von Till describes it as Neurosis’ first attempt at “borrowing ideas from psychology about using archetypes, throwing them so rapidly at people that you break them down”. For most metal fans of the day, breakdown or rejection were the only plausible responses. Many opted for the former. But as time passed, Neurosis won over the metal community. They are canonical figures now. A minor musical movement dedicated to misappropriating their ideas has risen and, mercifully, fallen. And today, teenagers unearthing metal for the first time can learn of Neurosis as legends. Souls at Zero would be an excellent place for them to start — young, hungry, and bursting with life.